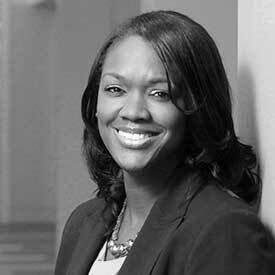 Jolen Anderson is Chief Diversity Officer and Chief Counsel Employment and Corporate Social Responsibility at Visa. Since joining in 2005, Jolen has held a variety of roles within the legal department and demonstrated a commitment and passion for promoting talent with a particular emphasis on Diversity & Inclusion. As Chief Diversity Officer, she leads the development and implementation of Visa’s Diversity and Inclusion strategy. She leads a team focused on enterprise-wide change efforts for the advancement and retention of top performing talent inclusive of women and people of color in an inclusive work culture. Prior to her current role, Jolen held the position of Associate General Counsel, Employment and led the effort to provide legal support to the global human resource team, including serving as the legal advisor for the Compensation Committee of the Board of Directors. Prior to joining Visa Inc., Jolen practiced law at a Chicago law firm where she represented parties in labor and employment matters pending in state and federal court, the Equal Employment Opportunity Commission and other government agencies. She is a graduate of the Northwestern University School of Law and holds a Bachelor of Science degree in Social Policy from Northwestern University. Jolen is admitted to practice in California and Illinois, and is a member of the Charles Houston Bar Association, Black Women Lawyers Association, Minority Corporate Counsel Association, Association of Corporate Counsel, and the Labor and Employment Section of the America Bar Association. She is also a member of the board of directors for the San Francisco African American Art and Culture Complex.